There is a special kind of romance to be found along historic San Antonio River Walk. At the heart of the city’s history, it boasts a number of activities and attractions that are perfect for couples seeking to get away from it all. At Noble Inns, our specialty is creating unforgettable experiences for romantic getaways in San Antonio. Horse-Drawn Carriage Tour of the King William Historic District: Treat your sweetie to the Ultimate Romance Package, which includes a charming horse-drawn carriage ride that starts at the Alamo and then winds up back at the Inn. This includes Champagne, Godiva chocolates, and candles in your room to end the night in a magical and romantic way. Tour the Alamo: Bring your sweetie to the Alamo, one of the country’s most beloved U.S. monuments and historical masterpieces. This jaw-dropping fortress is sure to bring you closer together! Afterwards, make your way back to our luxurious San Antonio bed and breakfasts and spend the afternoon relaxing on the veranda or in our gardens. Visit the San Antonio River Walk: The River Walk is one of San Antonio’s best tourist destinations, and for good reason. The fabulous stores, restaurants and scenery along the banks of the San Antonio River offers a colorful and exciting way to spend the day together. 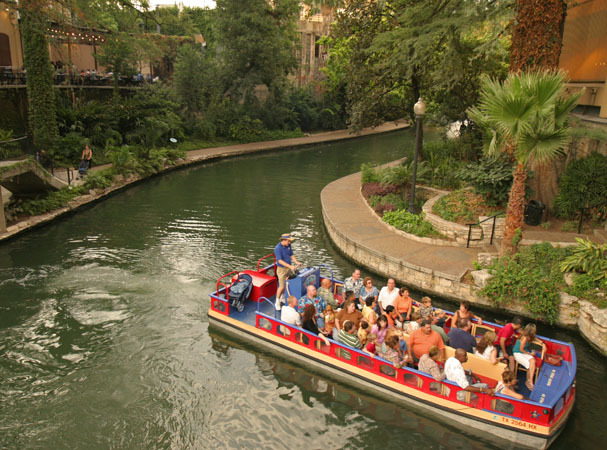 While there, be sure to take a romantic boat ride on one of the guided tours of the San Antonio River. Stroll Through the Japanese Tea Garden: After a relaxing in-room massage with one of our “Melt Your Cares Away” massage packages, plan on spending an afternoon at the San Antonio Japanese Tea Garden. This enchanting place is awe-inspiring and beautiful, with pretty walkways, ponds, stone bridges, floral trees and lush vegetation. The 60-ft. waterfall is a soothing place to cozy up with the one you love. Elevate Your Love at the Tower of the Americas: If you really want to impress the one you love, why not take them to the Tower of Americas? This 750-ft. structure was constructed during the 1968 World’s Fair and gives you a picturesque, panoramic view of the entire city of San Antonio. You can also dine at the top of the revolving tower. Get Big Thrills at One of the Many Theme Parks: If roller coaster rides or action packed rides sound more fun to you, San Antonio is the adrenaline-junky couples’ dream destination. Stay at our charming Bed & Breakfast and then choose your own adventure with a nearby Six Flags, SeaWorld, Schlitterbahn Waterpark, Morgan’s Wonderland or Splashtown. Find Creative Togetherness in San Antonio: The art scene in San Antonio offers abundant opportunities; with a fascinating blend of many ethnically and culturally diverse people. Since the eighteenth century, San Antonio has attracted and converged people from Asia, Mexico, Europe, Africa and both Native American and American traditions. Depending on what time of year you visit, you can find many art festivals, craft fairs, museums, art galleries, cultural arts performances and much more. Ask us about some upcoming events and we will be happy to point you in the right direction. 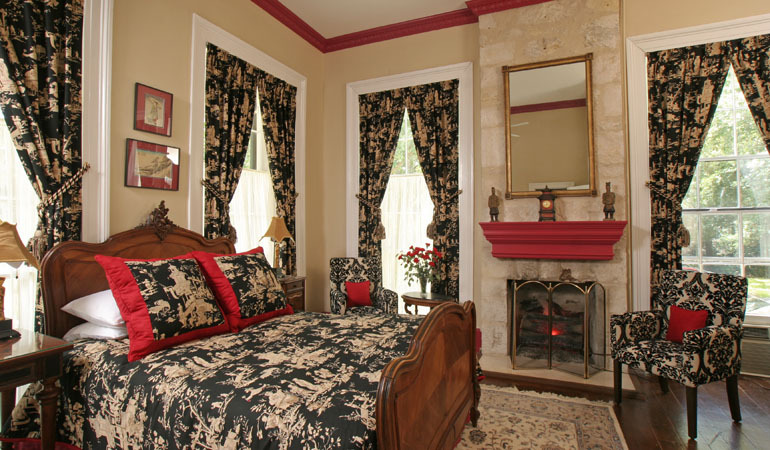 Whether you are coming to rekindle your romance, celebrate an anniversary, go on your honeymoon or just to get away from home on a rendezvous, the Noble Inns will strive to make your romantic getaway in San Antonio one to remember.